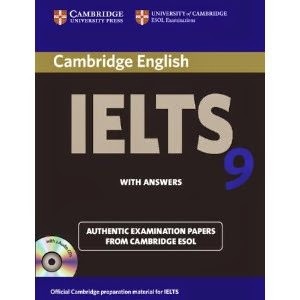 Download links of Cambridge Practice Tests For IELTS 9 With PDF and Audio CD Files have been updated and checked on 21th November 2017. The latest release of the Cambridge Practice Tests for IELTS series, provides students with an excellent opportunity to familiarize themselves with IELTS and to practise examination techniques using authentic test material prepared by Cambridge ESOL. The book contains four complete tests for Academic module candidates, plus extra Reading and Writing modules for General Training module candidates. An introduction to these different modules is included in each book, together with with an explanation of the scoring system used by Cambridge ESOL. A comprehensive section of answers and tape scripts makes the material ideal for students working partly or entirely on their own. Contains four complete tests, plus extra Reading and Writing modules for General Training, providing ample exam practice for both Academic and General Training candidates. Includes a comprehensive section of tape scripts and answers, including models and samples for all the Writing tasks, making it suitable for students working partly or entirely on their own. Contains a helpful introduction outlining the IELTS test format and its scoring, ensuring that students and teachers have a thorough understanding of what is involved in the exam.